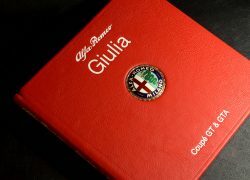 Title: Alfa Romeo Giulia – Coupe GT & GTA – Limited Edition. 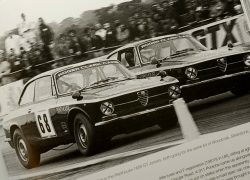 History of the Alfa Romeo Giulia: Alfa Romeo Giulia is the name of three not directly related models by the Italian car manufacturer Alfa Romeo. 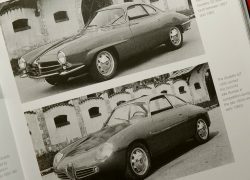 The first is a line of sporty four-door compact executive cars (Type 105) produced from 1962 to 1978, the second is an updated, mainly up-engined Spider, Sprint and Sprint Speciale Giuliettas, and the third Giulia is a compact executive car (type 952) unveiled in 2015. 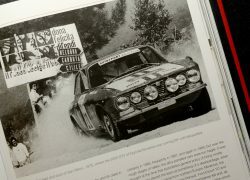 Alfa Romeo was one of the first mainstream manufacturers to put a powerful engine in a light-weight 1,000 kilograms (2,205 lb) four-door car for mass production. 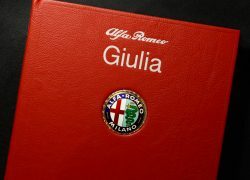 The Type 105 Giulia was equipped with a light alloy twin overhead camshaft four-cylinder engine similar to that of the earlier Giulietta (750/101) range, available in 1.3-litre (1,290 cc) and 1.6-litre (1,570 cc) versions. 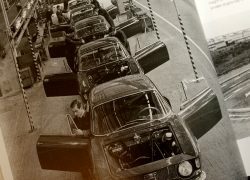 Various configurations of carburetors and tuning produced power outputs from about 80 to about 110 bhp (55 to 75 kW), coupled in most cases to 5-speed manual transmission. Giulia sedans were noted for lively handling and impressive acceleration among small European four-door sedans of their era, especially considering modest engine sizes offered. 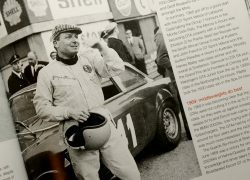 The popular Super version with the twin carburettor 1.6 litre engine had a top speed of 170 km/h (106 mph) and accelerated from 0 to 100 km/h (62 mph) in about 12 seconds, better than many sports cars of the late 1960s and early 1970s. 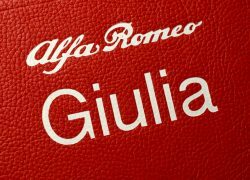 When leaving the factory all variations of the Giulia originally fitted either Pirelli Cinturato 165HR14 tyres (CA67) or Pirelli Cinturato 155HR15 tyres (CA67). 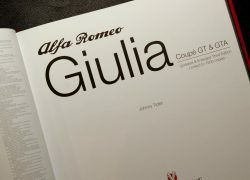 Description: Originally published in 1992, this book remains today as the definitive study of the Alfa Romeo Giulia. This English language edition is a must for the bookshelf of anyone interested in this model. 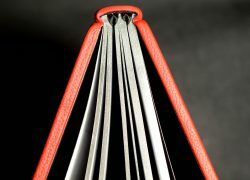 Special Binding: Covered in the finest quality heavy grained red leather. The cover sports fine deeply embossed matt white foil title blocking. 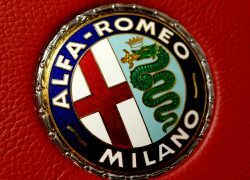 To the centre is an inset Alfa Romeo badge of breathtaking quality. The badge in silver and gilt finishings, and with an example of the best enamel workers art, the various enamel work in a range of opaque and translucent colours. The translucent colours over differing engine turned base metal. Complex indeed. 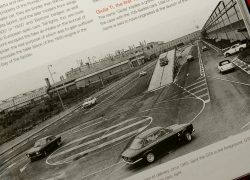 The page ends are matt aluminium gilted and the book has fine matt black endpapers. The book has black ‘heads & tails, along with double black silk ribbon markers. Supplied within a black linen archival slip case. 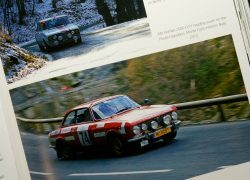 Format: 224 pages with over 400 photographs (over half in full colour). 26cm x 25.5cm.